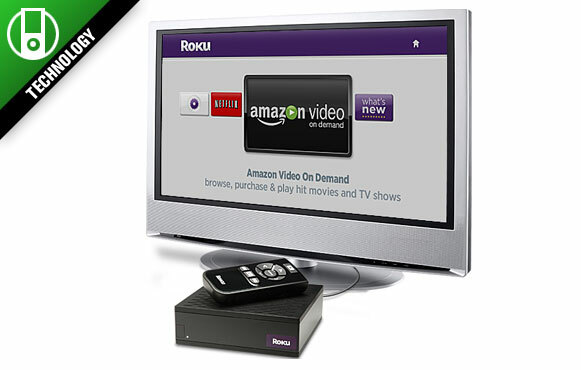 The Roku Player has been the easiest way to get Netflix, Amazon Video On Demand and MLB.tv content instantly streamed to your display. More than 45,000 Netflix Instant Watch movies are available and even more content (via the Channel Store) is streamed directly to the Roku. Built-in wireless (Wi-Fi) and wired Internet connectivity lets you play high definition and DVD-quality video on any TV, though an HD display with an HDMI port is highly suggested. Check price and buy now! From computers to eBooks and deluxe recliners, check out these high-tech gadgets. ESPN.com's Jason Sobel pulls a bunch of gift ideas from his holiday golf bag. For the gamers on your list, we've got gadgets and plenty of hot video games. Guys, our expert panel of women has some great gift ideas to please your gals. We'll feature plenty of books and DVDs to please hard-core and casual sports fans. Page 2's contributors have dug deep to uncover some unusual gift ideas.